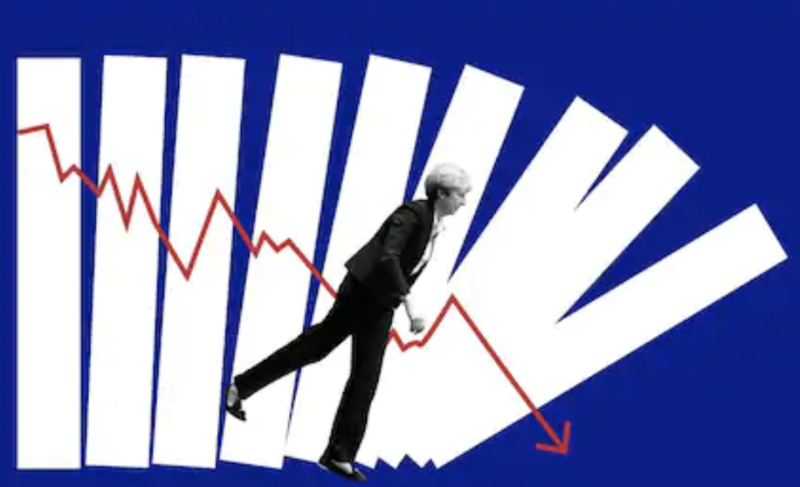 Odds of a 'no deal' Brexit next week have risen markedly over the past week, as the Commons has twice failed to coalesce around a viable alternative to Theresa May's deal, while once again rejecting the "best possible deal" negotiated between the prime minister and the EU27, albeit by a smaller, yet still considerable, margin than in the past. This is why, for the first time in a while, speculation about 'no deal''s impact, not only on the UK, but on the European, and broader global, economy is at the forefront of the market's mind, as investors have finally been forced to confront the reality that the UK crashing out of the EU next week isn't only possible, but extremely probable. The bank's findings are alarming, to the say the least. 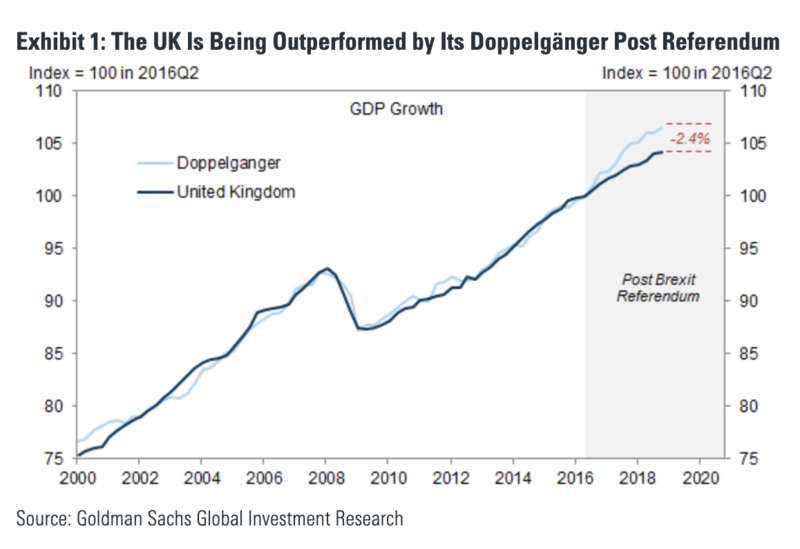 To begin, its analysts quantified how the uncertainty bred by the chaotic and dysfunctional Brexit negotiations has inspired businesses and consumers to put off investments and consumption, and compared it with a "doppleganger" model illustrating the counterfactual state of the UK in an alternate reality where voters elected to remain. 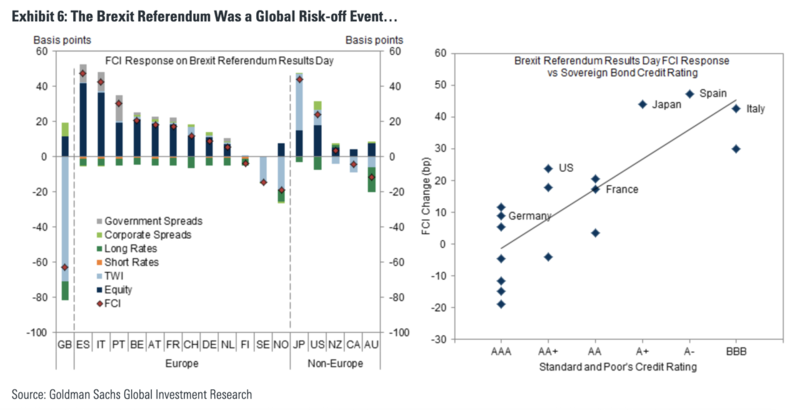 Using these models, Goldman calculated that Brexit has already knocked 2.4% off the UK's GDP, or about £600 million pounds ($671.3 million) every week since the referendum. 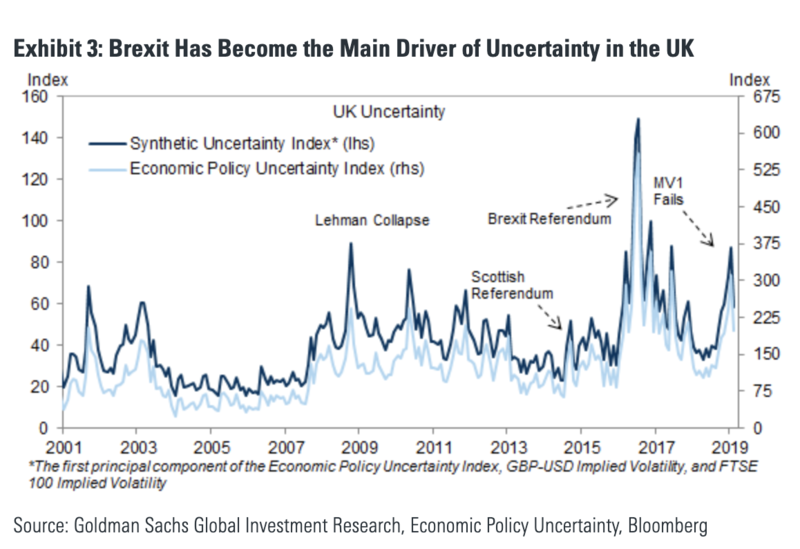 Given that the bulk of this (theoretical) loss has been attributed to business investment, Goldman has extrapolated that analysts have underestimated the impact of the "political uncertainty" surrounding the Brexit process. 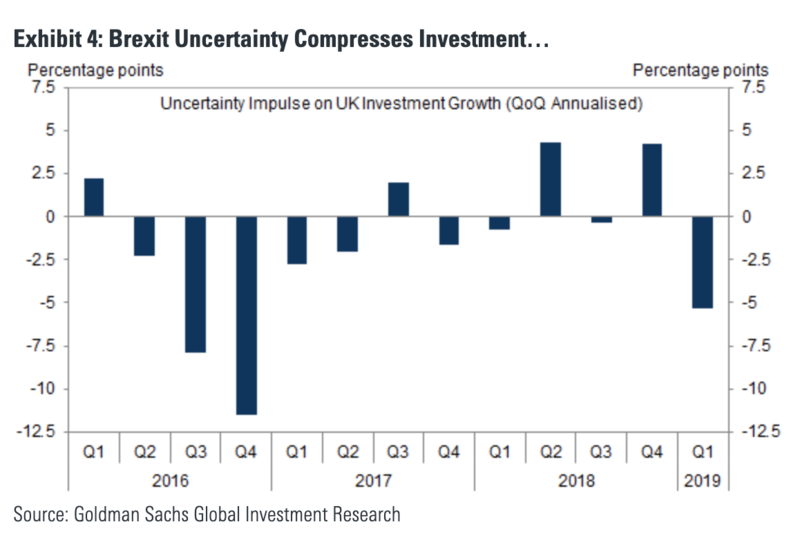 ...The analysts concluded that the flare-up in Brexit-related uncertainty since the start of the year shaved 5% off QoQ investment growth during Q1. 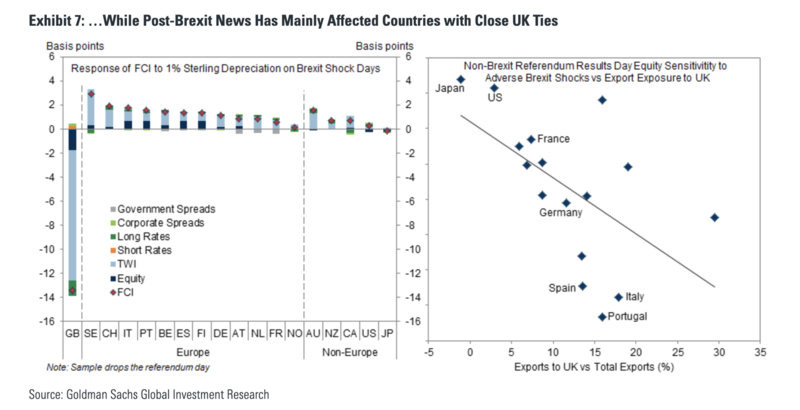 ...Even though Brexit-related event risk since then has mostly been confined to countries with significant export exposure to the UK. 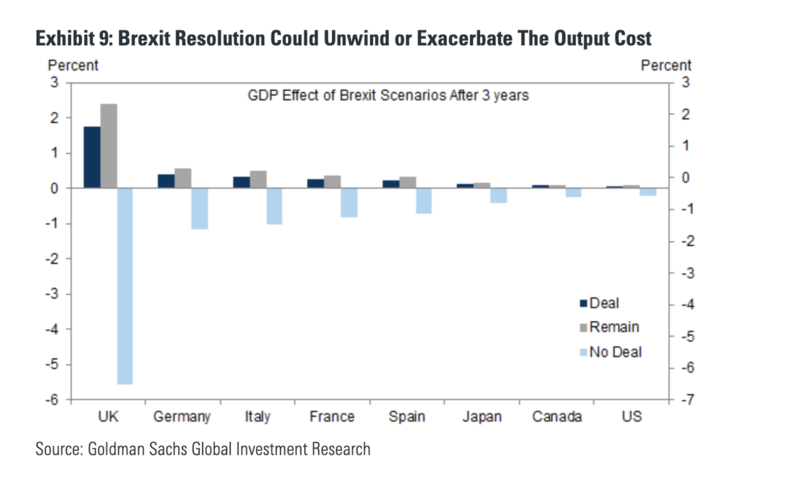 Yet, while leaving next week with a deal could be a tailwind for the UK economy, according to Goldman's analysis of output costs, "no deal" could have a substantial impact on European GDP for years to come. With the EU declaring that a "no deal" Brexit is now a "likely" scenario, the Telegraph's International Business Editor Ambrose Evans-Pritchard offered a haunting analysis of the ramifications of 'no deal' for the fragile European financial system, warning that the economic shock of a no-deal Brexit - coming at a time when manufacturing activity is already weak - could redound to a pan-European "Lehman-style" crisis, thanks the disruption in trade and its impact on growth. The European Central Bank can - presumably - handle the immediate shock of a financial and trade rupture by relaunching bond purchases and compressing Italian yields. What the ECB cannot handle is a third economic recession in a decade. 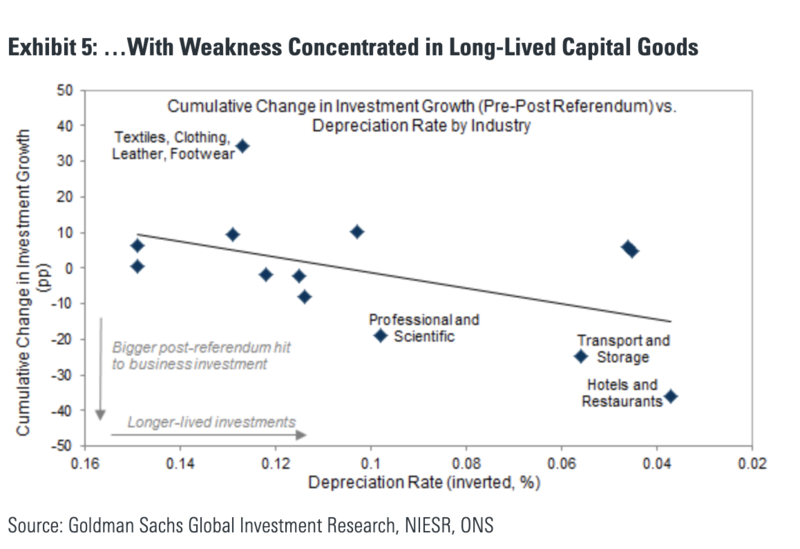 This will lead to a credit crunch and play havoc with Club Med debt dynamics. 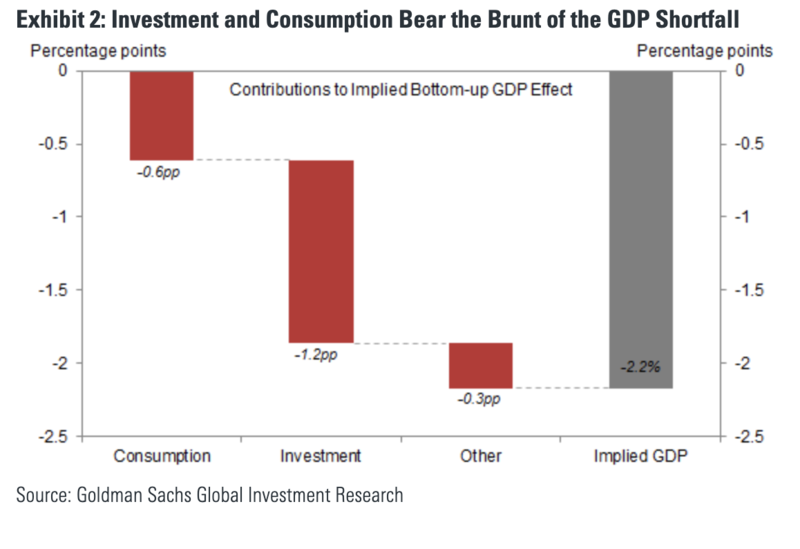 Let us call it creeping Lehmanisation - until the dam breaks and risk spreads go non-linear. What's worse, with the ECB already backing away from its plans to tighten money policy by leaving interest rates on hold at least through the end of the year, the Continent's one bulwark against unmitigated financial peril would have few options to quell the fallout.